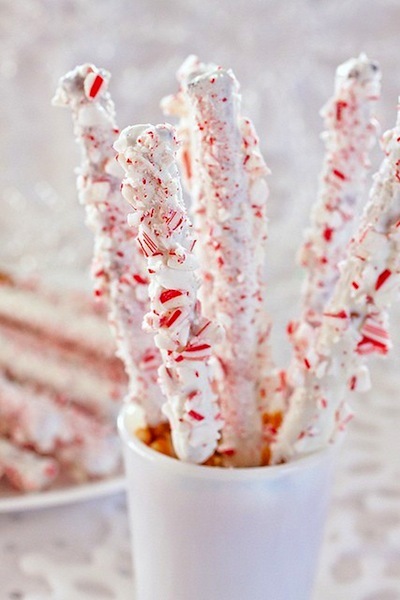 Candy canes are a festive addition to any winter wedding. The alternating reds and whites can punch up neutrals in everything from flowers to food. 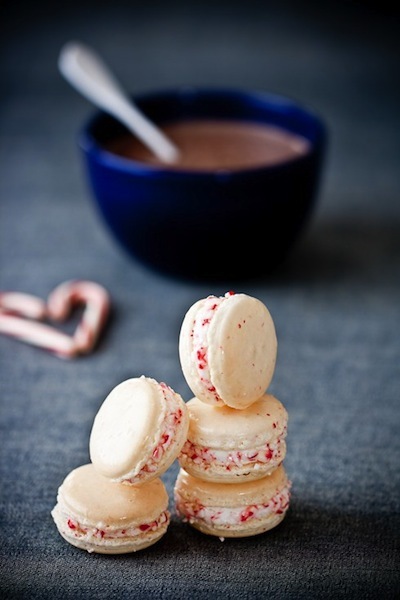 I love the idea of accenting with actual candy canes or just with their colors. 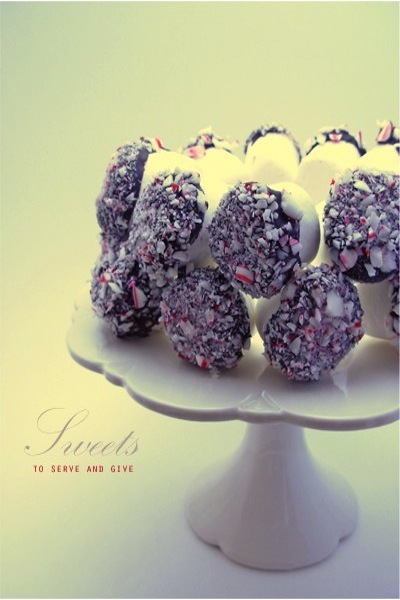 Drinks are a great place to start for candy cane inspiration. All of these drinks are making me salivate; I would LOVE to be a guest at a wedding that served any of these drinks! 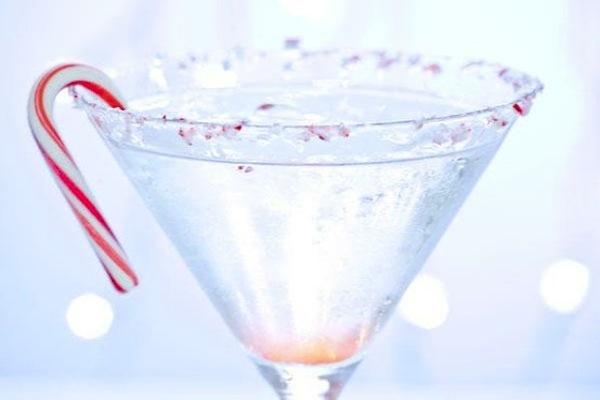 For some great options for your signature cocktail we’ve got candy cane martinis and a candy cane cooler, which sounds like a peppermint mojito, yum. 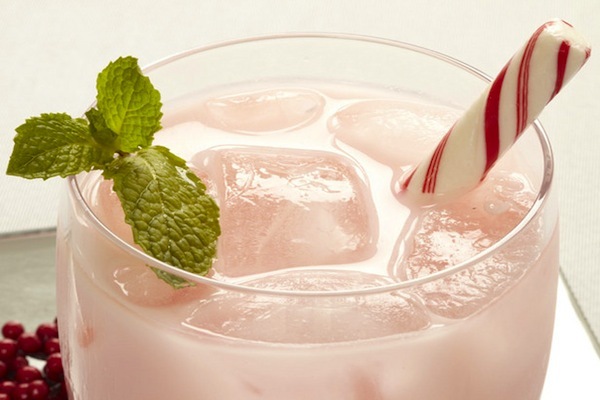 Some warm candy cane inspired drinks are another crowd pleaser. 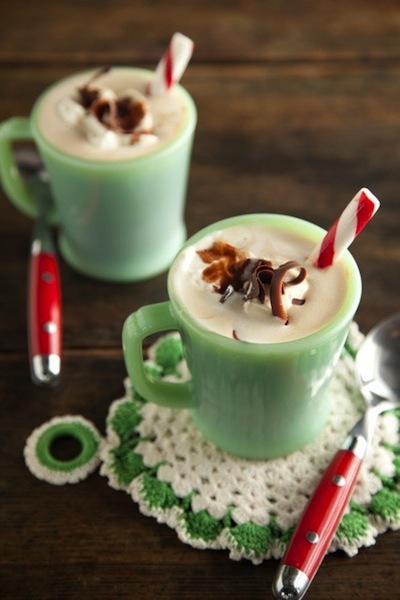 This peppermint chocolate coffee garnished with candy canes looks incredible. 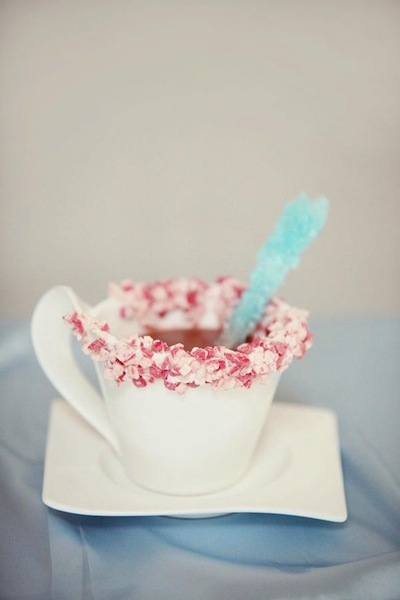 The last toasty drink is the delectable candy cane rimmed peppermint cocoa, and I love the rock candy stirrer! 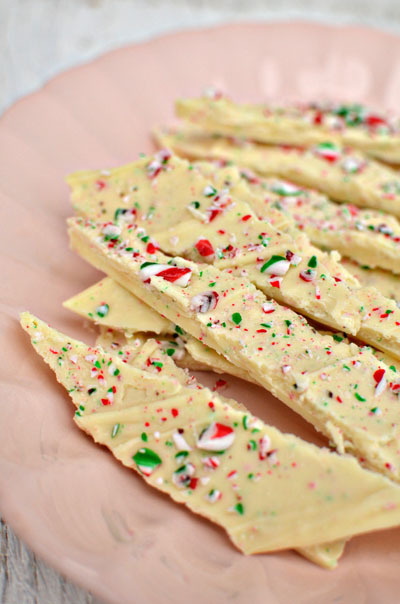 Your coffee and cocoa will be complete with the peppermint bark, candy cane coated pretzel rods and biscotti. If you’re having a dessert bar, these sweet treats would be perfect. 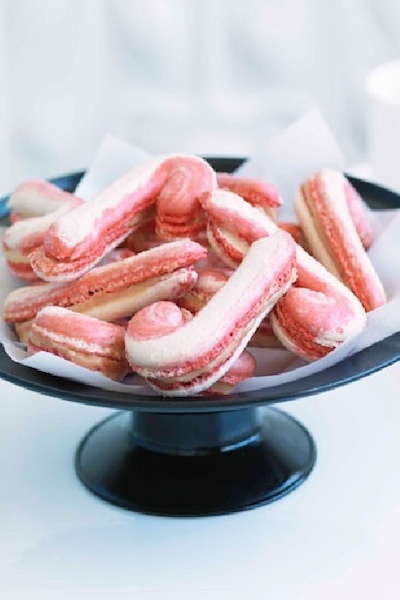 Candy cane chunk macarons, candy cane flavored and swirled meringues and adorable candy cane shaped (and flavored) macarons. 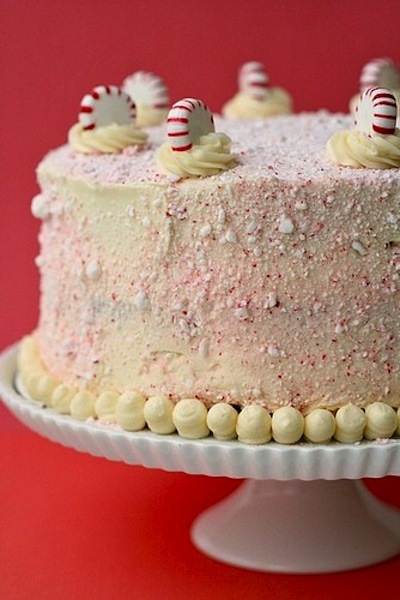 Your dessert table wouldn’t be complete without a candy cane cake! 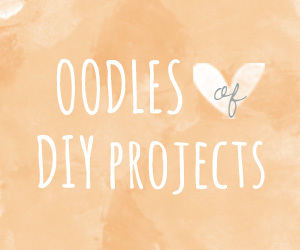 Both of these could be DIY projects and I especially like the chocolate dipped candy cane marshmallow cake. 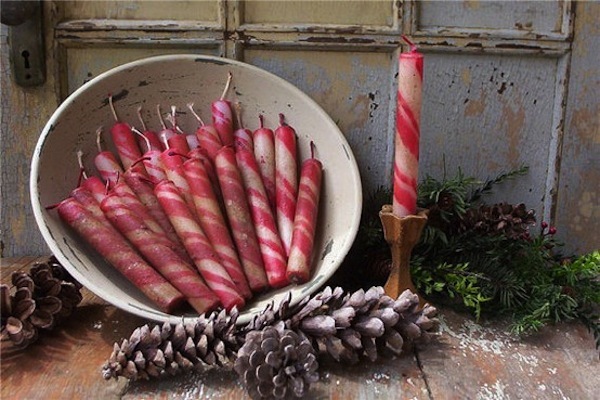 The look of candy canes can be translated to your decor as well. 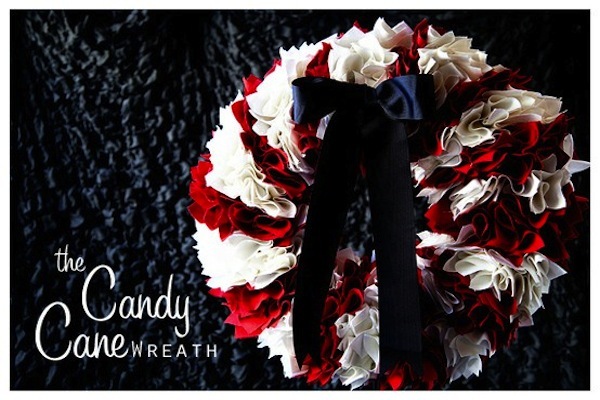 This candy cane inspired wreath would look great on the entrance to your ceremony site. 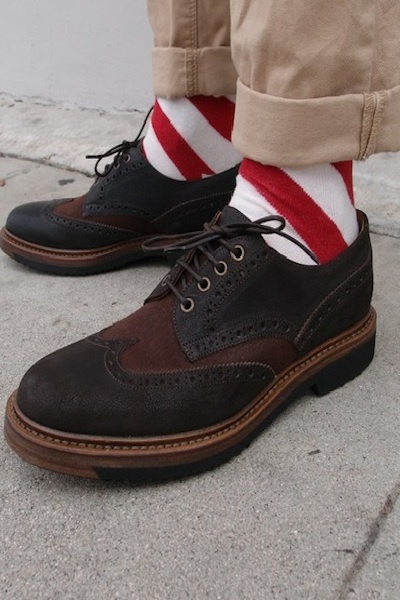 You could even incorporate candy cane stripes subtly in your attire. Striped shoes for you and socks for him would make for a cute little peek-a-boo shot of them side by side too. 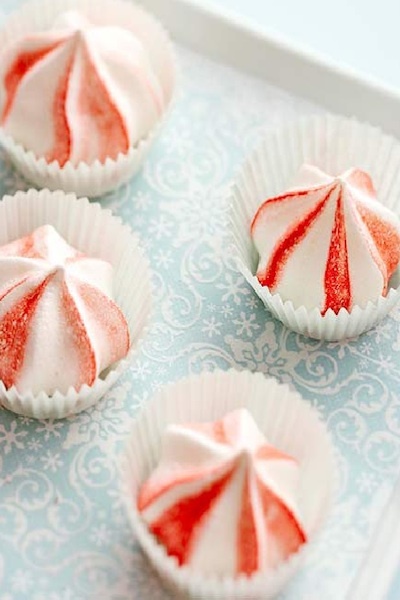 As you can see, the striped or swirled peppermint patterns give everything they grace a wintry twist. And the cane shape lends itself to many variations that you can adapt to your personal wedding style. 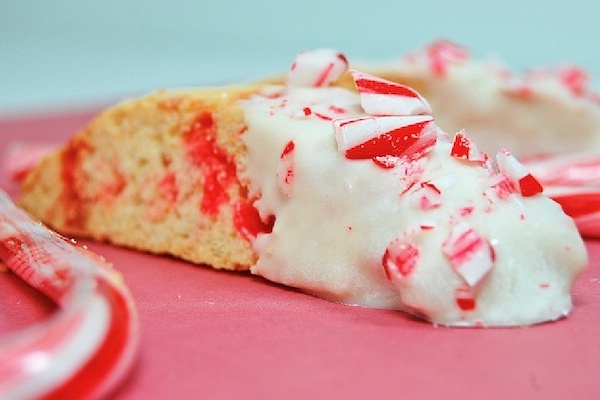 I almost forgot to mention the best thing about using candy canes–they are edible accents! 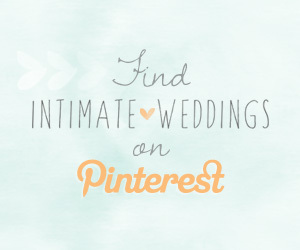 How many other wedding details look and taste this refreshing? Rebekah is a wedding stylist and designer. 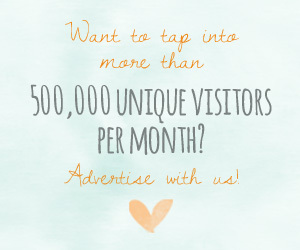 She owns A & B Creative, read her blog.